Facebook is still in the news! This time we got to see Mark Zuckerberg trade in his signature grey t-shirt for a suit and tie and testify before Congress about how our information is being shared. 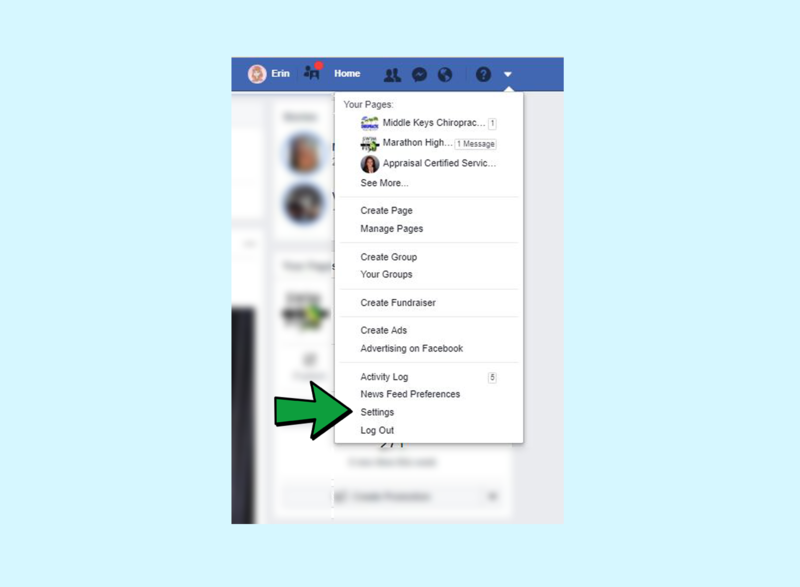 As a follow up to my previous post on how to see who you are sharing your Facebook information with, I downloaded my own Facebook data. Be prepared to be amazed. My most sincere apology to all of my friends and acquaintances of whom I have shared their data. This only works on your desktop, not on your phone! 3. 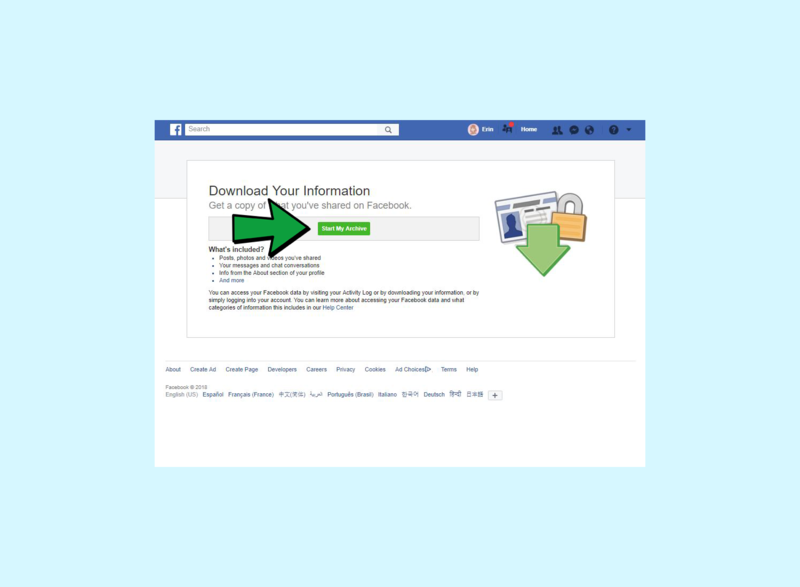 Click on the tiny little link that says ‘Download a copy’ of your Facebook data. 4. 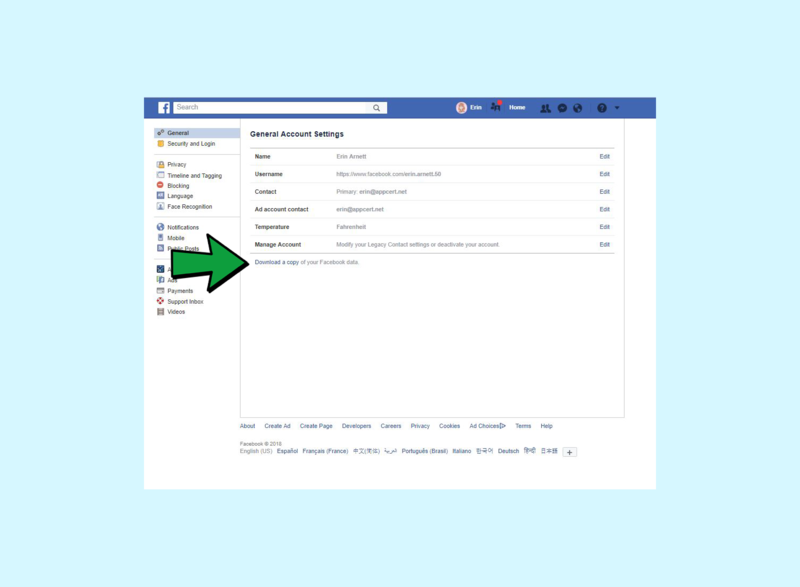 Click ‘Download Archive’ and you will be asked to enter your Facebook password and a request to download. After all of this is done, Facebook with gather all of your information and send you an email with a link in it (mine took about 20 minutes). Once downloaded, open the folder and click on the ‘html’ file. Click around and see all of the information that is being shared with Facebook. On a similar topic – The other day I was talking with a group of educators. One asked now a company with an app could make any money? My response – You know when you install an app and it asks if can have access to your contacts? and you click on ALLOW? These companies then sell that information to someone else and, voila, they make money. Below is my list of advertisers that received my name from someone else’s info. Again, I’m sorry for everyone that I have done this to. Once I can figure out how to delete all of this information I will let everyone know.